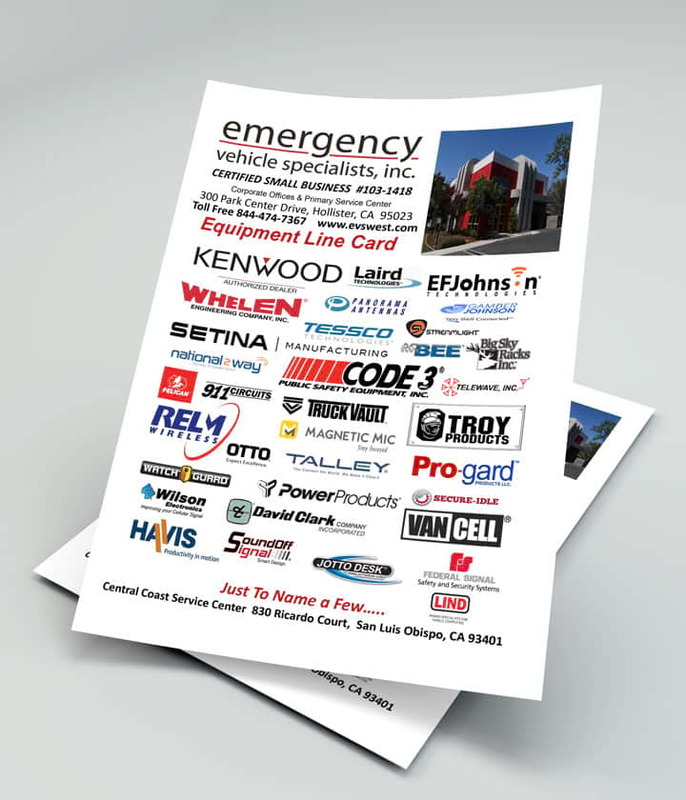 Commercial - Emergency Vehicle Specialists, Inc. This 2018 RAM 550 was built for Crown Catering. Crown Catering provides quality prepared meals for those working on large incident operations such as the wildfires in California. 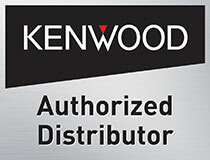 The RAM was equipped with warning lights by Whelen, scene lighting by Rigid Industries, and two-way radios by Kenwood. The goal of this build was to provide those working and being served by Crown Catering with enough light to operate safely and effectively. This configuration has proven itself in the line of duty and looks great doing it! 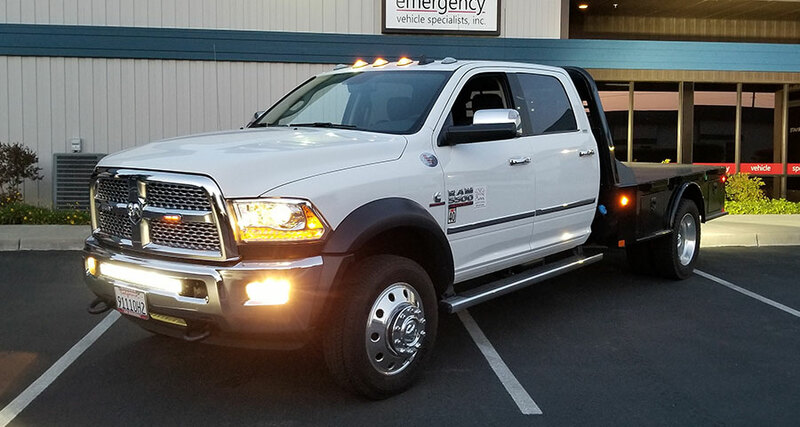 At EVS, we work with a wide variety of commercial industries, including private security, construction, food service, towing, airport, and agriculture. 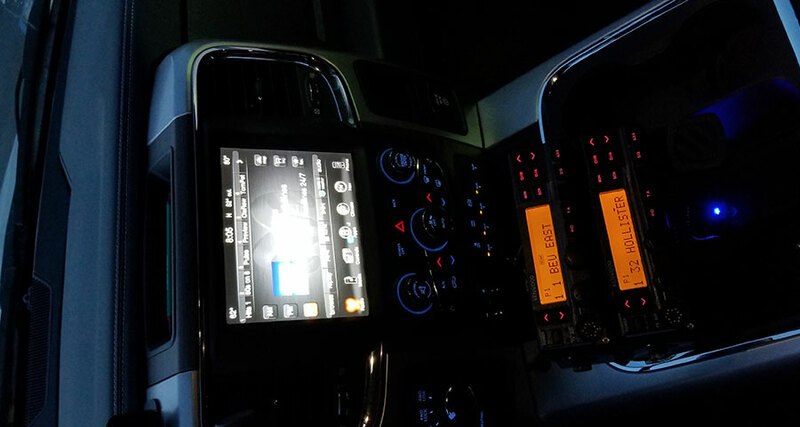 Whether you need lighting, radio communication equipment, or a complete fitting for your fleet, we have the tools and experience to finish the job. Safety and quality are our top priorities, so we’ll make sure your crew can work safely and effectively in their vehicles. 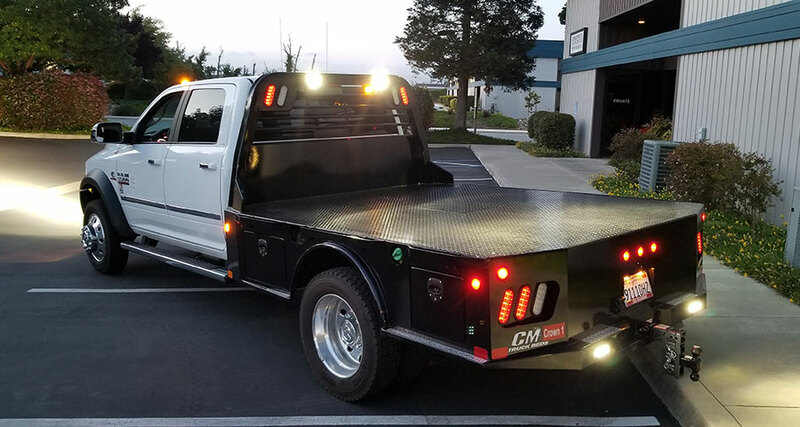 One of our best commercial vehicles is the 2018 RAM 550 we built for Crown Catering, a company that provides prepared meals for those working on the California wildfires and other large incidents. 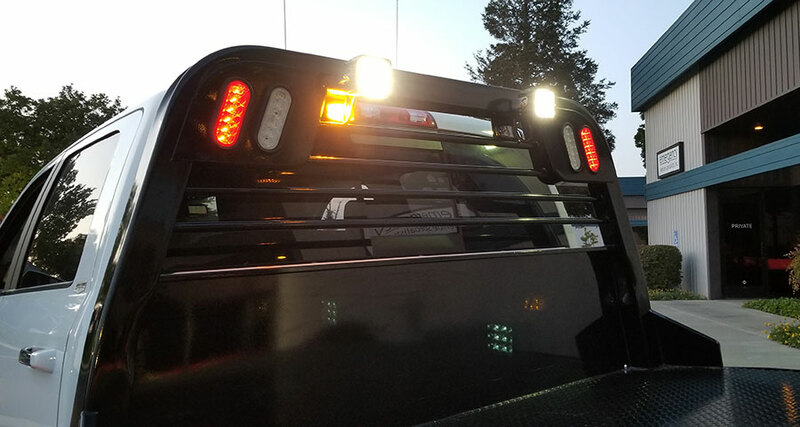 The vehicle is equipped with some of the best technology, including warning lights from Whelen, two-way radios from Kenwood, and scene lighting from Rigid Industries. We are proud to assist Crown Catering by providing a vehicle that operates safely and efficiently. If your fleet needs repairs or upgrading, contact us today.